LCDR Bosso began her career with the Centers for Disease Control and Prevention (CDC) in 2007 as a Public Health Prevention Service (PHPS) fellow. During this fellowship, she completed rotations with the International Influenza Unit in the Office of Global Health Affairs (HHS), CDC’s Global Immunizations Division, and the Massachusetts Department of Public Health in the Division of TB Prevention and Control. After completing PHPS in 2010, she returned to Atlanta where she spent 4 years as an issues manager in the Division of Issues Management, Analysis, and Coordination in the Office of the Chief of Staff where she focused on worker safety and health issues as well as CDC’s regulatory agenda. In February 2015, LCDR Bosso joined the Policy and Partnerships Team in the Division of Nutrition, Physical Activity, and Obesity where she focuses on childhood obesity, healthy food environment, and early child nutrition. LCDR Bosso holds a BA in Psychology from the State University of New York (SUNY) at Geneseo, and an MPH, with a concentration in Epidemiology, from SUNY Albany. 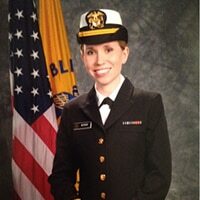 In 2014, LCDR Bosso joined the United States Public Health Service.